As I’ve browsed a handful (or two….or three handsful, perhaps) of times in the produce section of FRESH, our area’s nicer version of a Whole Foods, in my opinion, I’ve noticed people quizzically looking at some of the unique, exotic fruits displayed there. They almost seem afraid to pick them up, even! “What in the world is this?” is something I hear a lot. I’ve said it, myself. I decided to snap some shots of some of the more unique-looking items and search for information on how to eat them and what kinds of recipes they’re best-suited for. Since I love to share with you, you’re going to be in on this information, too! Maybe you could print this out, or some of the pages I’ll link to, and take the info to the store with you for ideas. Today I’ll focus on the interesting, lovely, and delicious DRAGON FRUIT. Here is easy instruction on how to eat a dragon fruit; basically, all you need are a knife and an ice cream scoop. They’re luscious fruits originating in Thailand and are loaded with healthy antioxidants. The flavor is reminiscent of a pear and kiwi, sort of. Try it out! Click here: How To Eat a Dragon Fruit. Tips for choosing and storing dragon fruit: Squeeze on the dragon fruit gently. 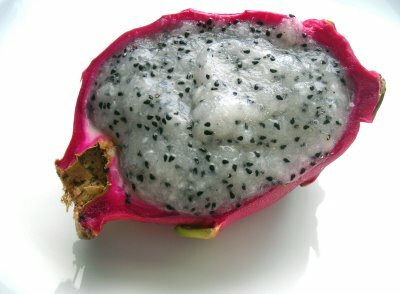 Under-ripe dragon fruit will feel hard and firm. 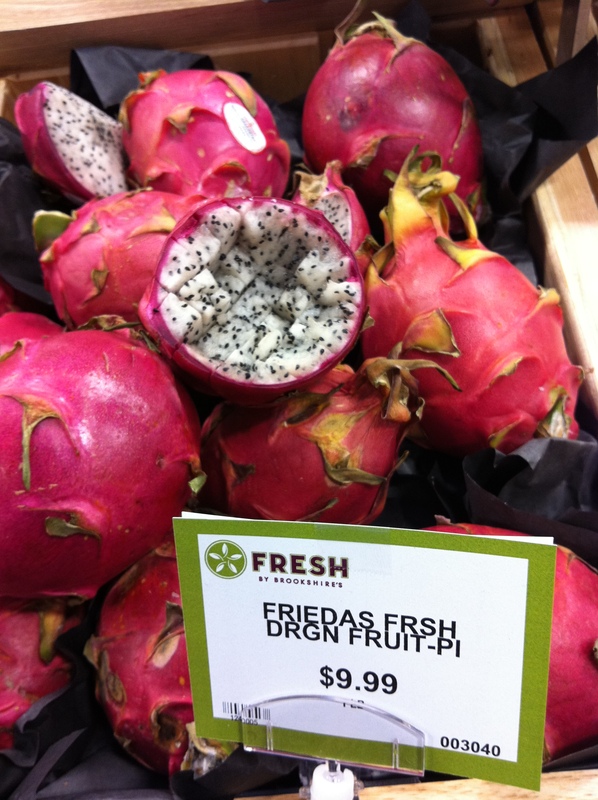 When the dragon fruit ripens, it will slightly give when you press down on the skin. Allow the dragon fruit to sit for three to four days in the refrigerator if you will not consume it immediately. Avoid fruits that contain mold, brown stems, or cuts. In a separate bowl, combine the dragon fruit, lemon juice, and chopped chives. Top the scallops with the dragon fruit salsa and serve. Another recipe is to be found by clicking RIGHT HERE; it’s dragon fruit sorbet! Check it out, and the lovely pictures. She uses the hollowed-out halves to then serve the sorbet in! So pretty! Rachel Rappaport's picture of Dragon Fruit Sorbet served in hollowed-out dragon fruit rind. 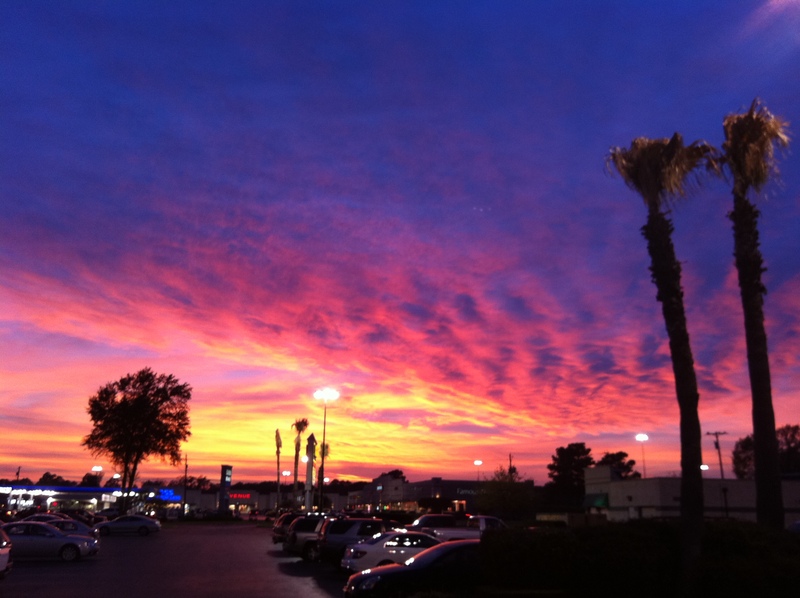 I leave you with the picture of the lovely East Texas sky from last night…it’s too pretty not to share with you. Pretty Pictures…but what does Dragon Fruit taste like? Just curious. We get dragon fruit here in Mauritius too – some have a very deep purple colour inside – I have never tasted one though – thanks for your post, I am very curios now. best sites on the web. I most certainly will highly recommend this blog!